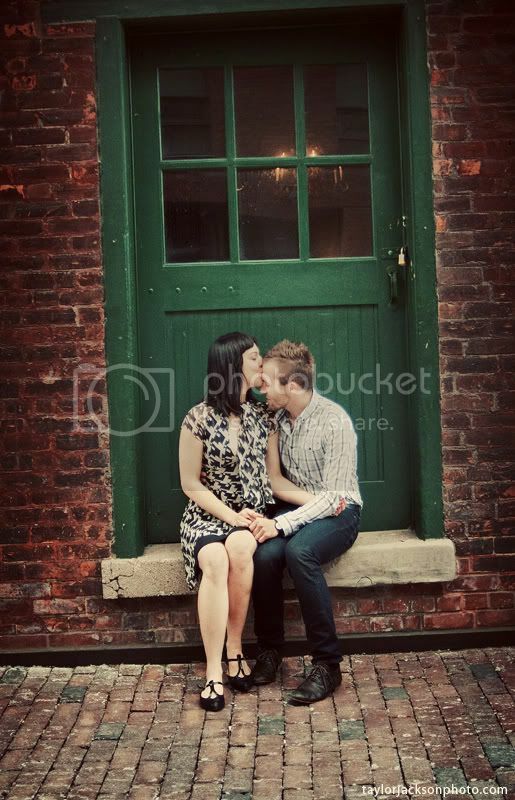 I headed out to Distillery Disctrict in Toronto earlier today with one of my favorite new 2010 couples, Christina and Tyler. 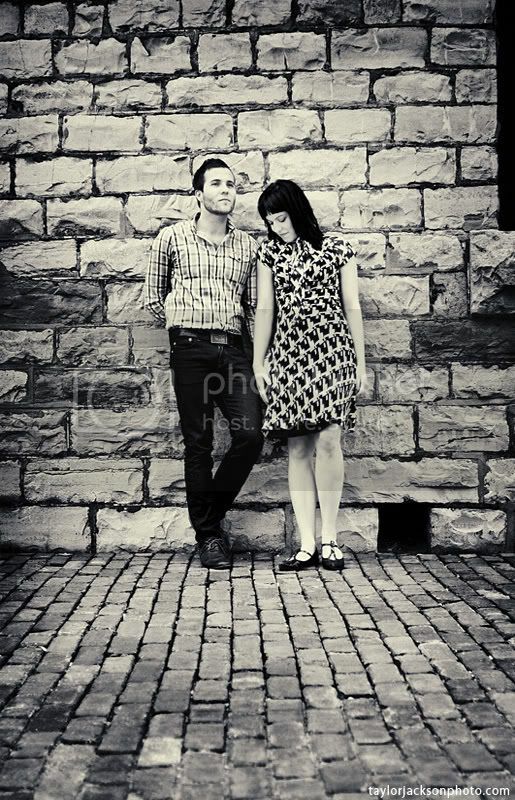 They’re getting married at The Fermenting Cellar in May of next year, and I’m so incredibly happy they have chosen me to photograph their wedding day. Their wedding is going to be phenomenal. Lynn - Nice work. 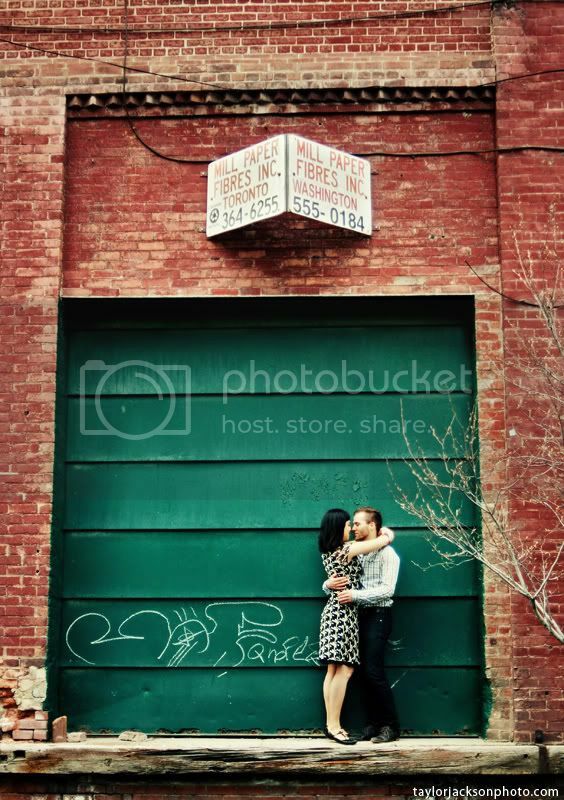 I love the toning on the color images – those green doors are yummy! Cute couple!